SALT LAKE CITY – Bamboo clothing, bedding and bath goods retailer, Cariloha, this week launched its spring 2015 bamboo hat collection, which is made from eco-friendly bamboo-fabric blends and designed and inspired by Cariloha’s product managers. This season’s bamboo hat line features versatile fitted sports-mesh hats (unisex in black and white), fitted Jacquard hats (unisex in black, charcoal, dry dock and Carolina blue), classic six-panel adjustable-strap mesh hats (unisex in black and white), adjustable Jacquard hats (unisex in black, light gray, and navy), and women’s cadet hats (black and white). 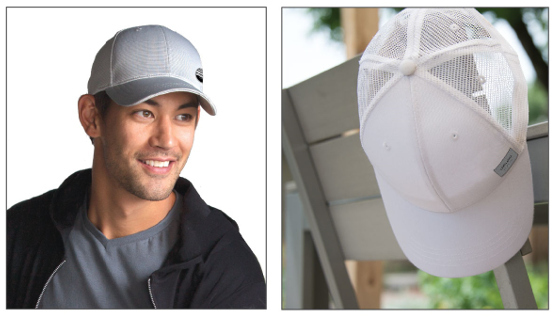 All hats are sewn together with lightweight bamboo fabric – some including poly-mesh backs or a polyester blend. With this spring hat launch, Cariloha store owners, upon ordering for their stores, can now choose to customize each bamboo hat with one of five different logoed-patch embellishments. They can also choose to add a store location namedrop to their hats, further customizing hats for Cariloha customers. Cariloha Bamboo hats come with a 90-day quality guarantee. If the hats don’t live up to the customers’ expectations, Cariloha will replace them free. Retail pricing is $32. •	Velcro back; sleek, thin fit and construction. •	Bamboo icon on branding clip on hat back. •	Hat Front: 100% bamboo. Hat Mesh Back: 100% poly/mesh. •	Custom Cariloha bamboo taping on hat interior. •	Air sports mesh for breathability and comfort. •	Cariloha bamboo branding embroidery on the back of hat. •	Hat is made of 100% bamboo. •	Cariloha branding tag on hat bill. •	Decorative patch on back center of hat. •	Plaid interior of hat. •	One size fits most.